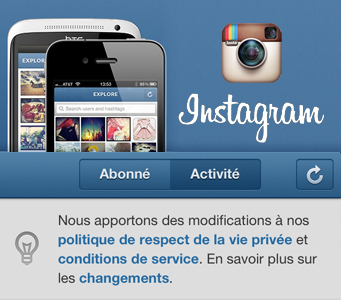 The new terms and conditions of Instagram come into force on 16 January 2013. Some attention to some conditions, but this time, it must stop. A clause that Instagram have the right to use photos taken by members without permission and without paying a single under the photographer. For what purpose ? Advertising revenue. 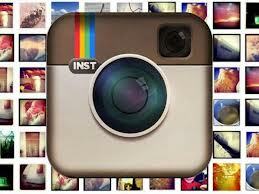 Instagram may reproduce or sell the right to reproduce the photos in its library that are currently available online. Instagram will not allow you to modify (add logo, cut a part, etc..), But will have the right to share the photo with advertisers. Only pictures displayed on private accounts will be spared. In the other side, let's be honest, there is little chance that the picture of your Christmas diners with uncles, aunts and grandparents interested. But some snapshots about Instagram are also real works of art. This is probably that want to use for advertising purposes. To select photos may be paid and associated advertising, Instagram can use the metadata attached to images. Tags, location and date that may be required. A restaurant, a hotel or a festival organizers, may with the help of Instagram, set up a bank of images that relate to their business or event and use them for promotional purposes thereafter. Instagram could also use metadata to better target advertising that appears on your photo pages. To avoid them to take your photos, there are two options. Make your page completely private or simply delete your completely Instagram account, ways are limited in Instagram plans to sell or circulate your photos. Important note: all this must be done before the entry into force of the new terms, on 16 January 2013. Needless to say, all over the Web, especially in social networks, a rain of insults falls now on instagram and Facebook . But this kind of reaction on the Web may well force Instagram and Facebook to reconsider their decision. Certainly, since the announcement, the number of articles explaining in a few steps how close Instagram and Facebook accounts permanently, photos posted on Instagram involving the finger and angry messages on Twitter with hashtag # as instagram multiply like wildfire.